Medical Research Using Animals Often Fails To Produce Drugs That Work In Peopl : Shots - Health News Most potential new drugs don't work when tested in people. It's a major disappointment and it drives up the cost of developing new drugs. One big reason is the use of animals in medical research. When scientists first started using animals in research over a century ago, the animals were not regarded as human stand-ins. Scientists studying rats were initially trying to understand rats, says Todd Preuss, an anthropologist at the Yerkes National Primate Research Center at Emory University. "As this process went on, people stopped seeing them as specialized animals and started seeing them more and more as prototypical mammals," Preuss says. But is a rat really a generic mammal? Preuss says emphatically no. But that's how rodents were pitched when they became products sold to scientists. "It wasn't strictly a financial interest," he says. The sellers "really believed that you could do almost anything" with these animals. "You could learn about almost any feature of human organization, you could cure almost any disease by studying these animals." That was a dangerous assumption. Rats and humans have been on their own evolutionary paths for tens of millions of years. We've developed our own unique features, and so have the rodents. So it should come as no surprise that a drug that works in a mouse often doesn't work in a person. Even so, Preuss says there's tremendous momentum to keep using animals as human substitutes. Entire scientific communities are built up around rats, mice and other lab animals. "Once these communities exist, then you have an infrastructure of knowledge: how to raise the animals, how to keep them healthy," Preuss says. "You have companies that spring up to provide you with specialized equipment to study these animals." The rat holding facility at Hazelton Laboratories in Washington, D.C., in 1967. Chances are, people studying the same disease study the same tailor-made strain of animal. Journals and funding agencies actually expect it. "So there's a whole institution that develops," Preuss says. You can get a glimpse of the scale of this enterprise by passing through one of hundreds of facilities nationwide devoted to the care and feeding of mice. On the Stanford University campus, attendants roll supply carts through fluorescent-lit hallways and past row after row of doors at an expansive mouse facility. I'm guided through the labyrinth by Joseph Garner, a behavioral scientist at the Stanford University Medical Center. 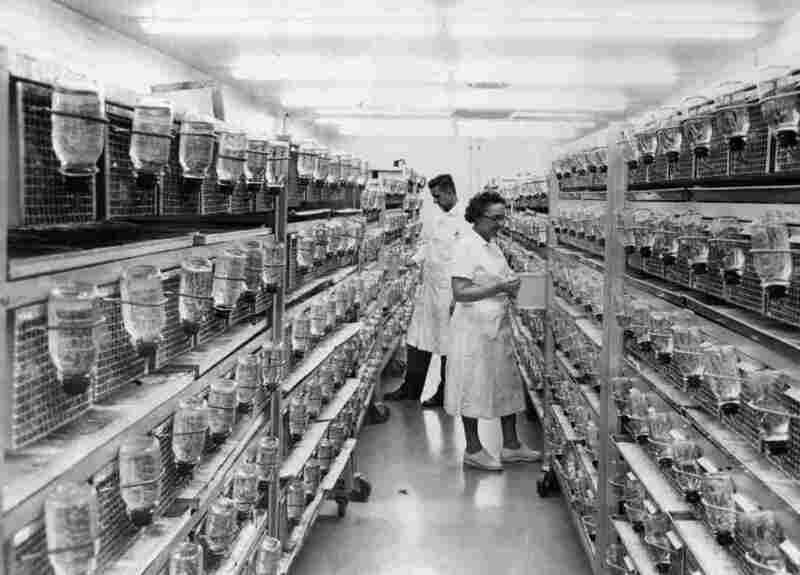 We go into a windowless room stacked floor to ceiling with seemingly identical plastic cages full of mice. The philosophy behind mouse research has been to make everything as uniform as possible, so results from one facility would be the same as the identical experiment elsewhere. But despite extensive efforts to be consistent, this setup hides a huge amount of variation. Bedding may differ from one facility to the next. So might the diet. Mice respond strongly to individual human handlers. Mice also react differently depending on whether their cage is up near the fluorescent lights or hidden down in the shadows. Garner and colleagues tried to run identical experiments in six different mouse facilities, scattered throughout research centers in Europe. Even using genetically identical mice of the same age, the results varied all over the map. Garner says scientists shouldn't even be trying to do experiments this way. Garner argues that research based on mice would be more reliable if it were set up more like experiments in humans — recognizing that variation is inevitable, and designing to embrace it rather than ignore it. He and his colleagues have recently published a manifesto, urging colleagues in the field to look at animals in this new light. "Maybe we need to stop thinking of animals as these little furry test tubes that can be or even should be controlled," he says. "And maybe instead we should think of them as patients." That could solve some of the problems with animal research, but by no means all. Scientists make far too many assumptions about the underlying biology of disease when creating animal models of those illnesses, says Gregory Petsko, who studies Alzheimer's disease and other neurological disorders at the Weill Cornell Medical School. "It's probably only when you get to try your treatments in people that you're really going to have any idea how right those assumptions were," Petsko says. In his field, the assumptions are often poor, or downright misleading. And Petsko says this mindset has been counterproductive. Scientists in his field have "been led astray for many years by relying so heavily on animal models," he says. For many years that was simply the best that science could do, Petsko says. So he doesn't fault his colleagues for trying. "What I am saying is at some point you have to cut your losses. You have to say, 'OK, this took us as far as it could take us, quite some time ago.'" For neurological diseases, Petsko says, scientists might learn more from studying human cells than whole animals. Animals are still useful for studying the safety of potential new treatments, but beyond that, he says, don't count on them. Preuss at Emory agrees that using animals as models of disease is a big reason that many results in biomedical research aren't readily reproducible. "I think that we have means to resolve that, though." How? "You have to think outside of the model box," he says. Mice and rats aren't simplified humans. Scientists should stop thinking they are. 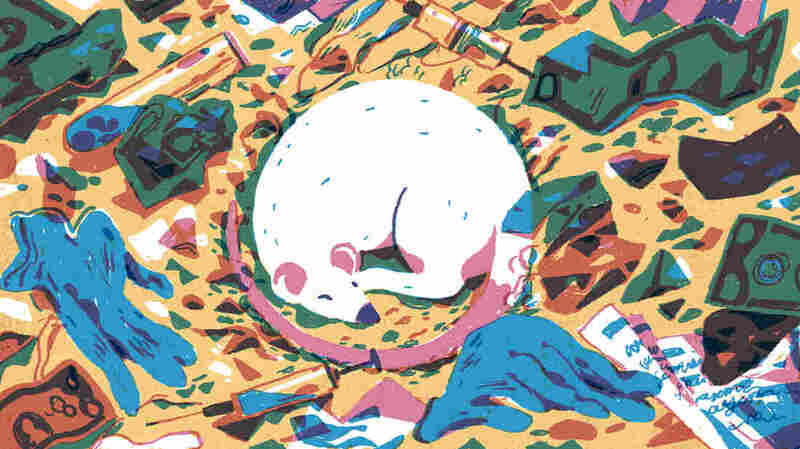 But Preuss says scientists can still learn a lot about biology and disease by studying animals — for example, by comparing how humans and other animals differ, or where they share common traits. Those can reveal a lot about biology without assuming that what's true in a rat is likely true in a human. "Scientists need to break out of a culture that is hampering progress," Preuss says. That's tough to do right now, in a world where science funding is on the chopping block. Many scientists are reluctant to take a risk that could backfire. But the upside could benefit us all, in the form of a better understanding of disease, and effective new drugs. Richard Harris did some of the reporting for this story while researching his book Rigor Mortis: How Sloppy Science Creates Worthless Cures, Crushes Hope, and Wastes Billions. You can contact him at rharris@npr.org.